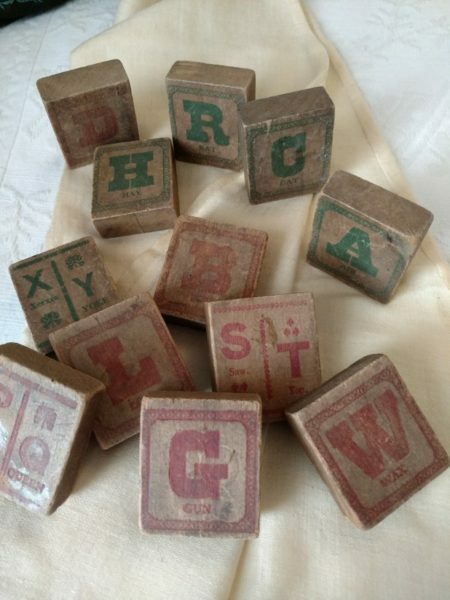 A set of early 1900’s – 1920’s children toy building blocks. There are 12 blocks in the group, although not a complete set. Natural wood with printed letters, numbers and pictures. Pictures of buffalo, horse, dog, lion, panther, deer, elephant and kangaroo.